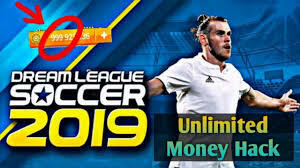 You must have seen so many blogs and website posting about unlimited coins for dls 17, dls 18 and dls19 without analysing how you can get unlimited coins for dream league soccer series by just downloading a file less than 1 megabite (1mb). In these article, i am going to tell you how you can get one billion coins for dream league (DLS 19) and buy all the best players in the world. Win every turnament with players like messi, ronaldo, modric, and so many more. what you need to do is just to follow the simple steps below. Install the game + obb data on your phone. Once you have finished everything, start the game and choose your captain. Data, and look for com.firsttouchgames.dls3. Save the file "Profile.dat" you downloaded. Important Note: You must delete the default Profile.dat before you copy and paste it there. if you dont delete it, it will not work. There are still some other ways to crack to get unlimited coins you can still use lucky patcher method to unlock the game but you will have to buy coins all the time.